Jaguar has established a reputation as one of the most desirable cars in the world. They are sleek, stylish and powerful with an impressive history. There are a number of classic Jaguars which have become icons around the world; the E-Type is a prime example of one of these vehicles. The Jaguar F-Type could be said to be the latest incarnation of these iconic sports car. It wears the Jaguar badge with pride as it sits low on huge sports alloys ready to hug the road and cling to the curves of any mountain road. There is no doubt that the Jaguar F-Type is a striking car. But, are the stunning looks and the high performance energy, which takes you from zero to one hundred km/h in just 3.7 seconds, enough of a reason to buy this beautiful car? In true Jaguar style the car has sweeping curves, an elegant stance and an aggressive front end which is consumed by the large grill proudly displaying the Jaguar badge. The car sits comfortably outside a top class restaurant or hotel and yet would almost blend in on a city street. The sublime mix of style and class can only be achieved by Jaguar. The Jaguar F-Type is powered by a supercharged V6 or a V8 engine, generating enough power to ensure you feel the kick inside and to get your adrenaline flowing! This performance is backed up by the high performance braking system and a choice of manual or automatic transmission. Whatever your preference you are sure to be enthralled by the power present in this vehicle. The Jaguar F-Type can be purchased as a coupe or a convertible; providing you with the choice of vehicles depending upon your needs and the climate where you live. The convertible version uses a standard soft roof which folds away electronically. The interior of the F-Type is a mixture of sumptuous leather and suede with an elegant yet sophisticated console. You will feel encompassed safe and like a racing driver as the engine howls through the rev range. The Jaguar F-Type also comes with a huge amount of equipment as standard. This includes items like GPS, paddle shifts on the steering wheel and the ability to control all electronics from the beautifully crafted three spoke steering wheel. The in-dash eight inch display allows you to see the GPS, radio or air conditioning controls as you manipulate them. There is no doubt that the Jaguar F-Type is a superbly designed and built car. It is capable, agile and fast when pushed, and yet unassuming when sat in traffic. It is almost guaranteed to turn heads. Of course, a high performance car such as this will come with a significant price tag. But, if you can afford the vehicle, do not need a large trunk and love to drive with a huge grin on your face; this could be the car for you! 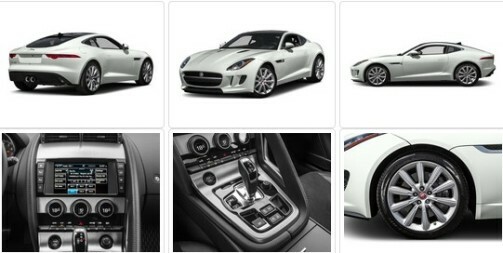 Most Jaguar dealers will have one which you can test drive; you will never look back!